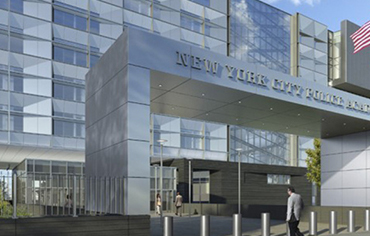 Arcadia Electrical was contracted to install lighting protection for the 750,000-square foot New York City Police Department (NYPD) Police Academy. Lighting protection technology for buildings was first discovered by Benjamin Franklin. Over the past century, the technology has dramatically increased to make buildings much safer during storms and other climate and emergency incidents. New technologies help prevent fires and side flashes which can injure people, damage to buildings and damage to appliances using electricity within a struck building. Arcadia Electrical installed a system of air terminals, conductor cables and ground rods that all work together to make the NYPD Police Academy safer, should it get hit by lightning or be impacted by other electrical and/or climate events.